This topic contains 4 replies, has 2 voices, and was last updated by Jack 2 months, 2 weeks ago. I’m trying to test the final configuration for a customer project using pro2pdf(free for now). You can activate only 1 form on this website. Please upgrade if you want to use more forms. Checking that php file I’ve noted that there is a variable $site..and I have any site activated so..could be the problem?? I have another strange issue, maybe related, but if I upload a pdf and try to create a new map I can’t see all of the pdf-form fields in the dropdown list but only a single “1” without any other choice. The file is the same used successfully in my local version and has over 20 fields. Please can you tell me, how can I solve it? It is very sad because our project with your plugin in local works very well! We have not seen this issue in the past, we may need to login to find the problem. Complete this form if login is possible.
. Was the client’s site (and all plugins) cloned from the local machine or was the site manually installed?
. 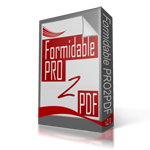 Attach a screenshot of the “Under the Hood” tab to a email sent to support AT formidablepro2pdf DOT com. We did not receive an email from you. Please use this form to send a message or attachments to us.